Home | Alloys | What is Nickel Alloy 625? What is Nickel Alloy 625? Alloy 625 provides the perfect mix of corrosion resistance and strength. When oxidation is a concern, it provides good resistance up to temperatures of 1093°C. Due to the nickel content, it’s virtually immune to corrosion by chloride as well, which is why it’s used in many seawater applications and also chemical processing. 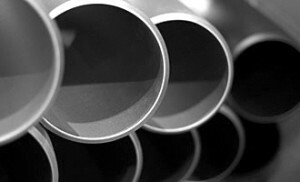 If you need to use Alloy 625 pipes with hazardous materials or extreme temperatures, it can withstand the punishment and retain its shape, giving you confidence in its ability. Alloy 625 is also incredibly resistant to extreme temperatures. Compared to most varieties of steel, alloy 625 does not lose tensile strength at extreme temperatures, making it one of the most temperature-tolerant materials that can be used in industrial applications such as heat treatments thanks to its ability to hold its shape despite the temperatures. This is what makes it such a suitable material for jet engines, but it’s not just heat that Alloy 625 can withstand. Even in environments where the alloy is exposed to extremely cold temperatures, Alloy 625 strengthens itself faster than stainless steel to become tougher and easier to work with. Despite all of these incredible advantages, Alloy 625 still manages to have good welding capabilities and can be shaped and formed to your needs. In short, if you’re looking for a material that can withstand extreme temperatures both hot and cold, is still flexible enough to be shaped to your needs and can even resist corrosion in seawater, then Alloy 625 is the perfect material for your needs. It might be an expensive material, but as one of the toughest metals available in the industry and the countless applications for its use, it’s worth the cost.